Ouray, Colorado is one of the nicest towns that I’ve discovered in the United States. Driving from Durango, through Silverton to Ouray, I had no idea what would lay before me. When I was at the top of a mountain with a pull out, it looked down over the valley where you viewed this beautiful little town. 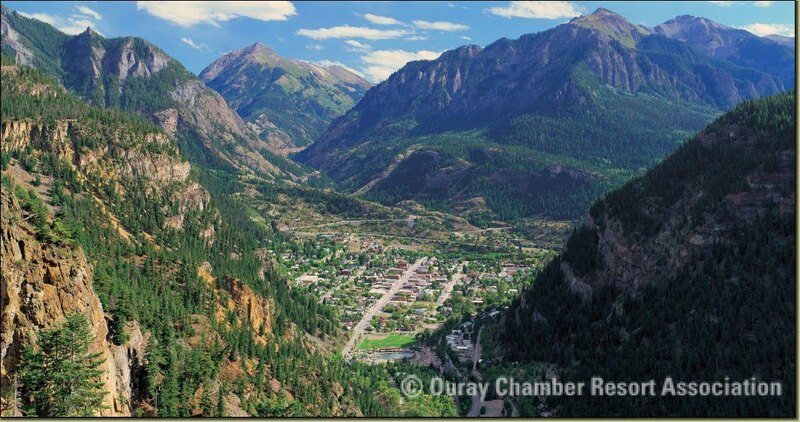 As you explore the shops, restaurants, streets, you discover Ouray is a National Hstoric Distric. 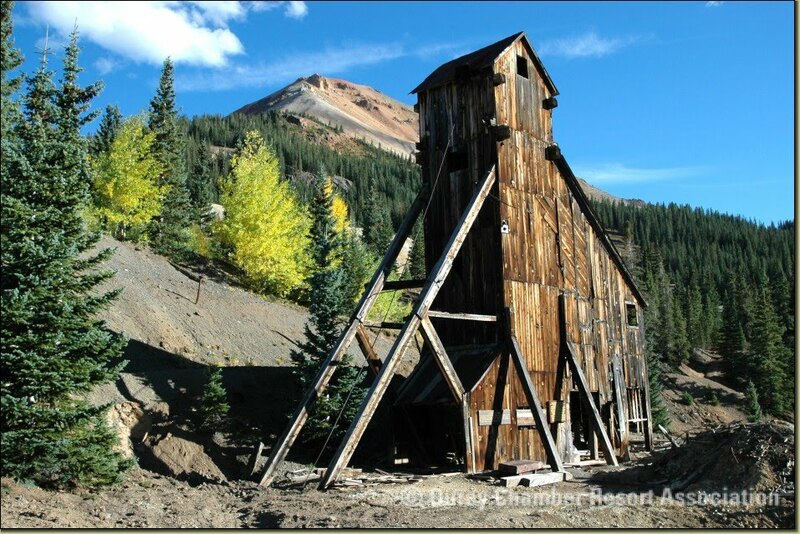 In the mountains, you can see old gold mines that have long been closed. It’s nice that they have a museum where you can discover the past. My son lived in Ouray several years during the 90s. The draw was the availability of all the outdoor sports–rock climbing, hiking, four-wheeling and mountain biking in the summer and ice climbing, backcountry skiing, cross-country skiing and snowshoeing in the winter. I was partial to the town hot springs. The pool is naturally heated all winter. I recall sitting in the hottest section one January evening when the temperature was well below zero, while locals were all catching up on news. For me, exercising at that altitude was somewhat of a challenge. Returning to Ouray was always a pleasure for me. So, when I saw the press release below, I wanted to share it with our readers. I did not write the rest of this post, but I hope you enjoy. Ouray, Colo. (May 4, 2010) — Ouray, Colo., the “Switzerland of America,” will feel a little more like France this summer when three cycling events roll through town. Ouray has been selected as an overnight stop for the 25thAnnual Denver Post Ride the Rockies bicycle tour in June. The Colorado Peace Ride wheels through town in July. And, in September Ouray will play host to the inaugural cycling and beer event called Peaks and Pints. On Tuesday, June 15, 2,000 cyclists from all over the world will converge on Ouray as part of the 25th Annual Denver Post Ride the Rockies tour. Ride the Rockies is an annual bicycle tour that treks more than 500 miles through the scenic Rocky Mountains. Daily rides range from 35 to 100 miles long. The event is extremely popular and has been sold out since February when more than 4,000 people vied for the 2,000 spots that were selected by lottery. Being an overnight stop for Ride the Rockies is an economic boon for Ouray, according to Ouray Chamber Resort Association President Karen Avery. Avery says that tour organizers estimate cyclists spent an average of $250,000 in a 24-hour period in each town during last year’s event. Avery adds that participants will get a glimpse Ouray as a bike-friendly summer vacation spot and will hopefully come back for a longer stay. Ride the Rockies participants come into Ouray from Delta on a 67-mile stretch of Highway 550. From Ouray they head to Durango on a 70-mile route that traverses Red Mountain Pass (11,090 feet), Molas Divide (10,899 feet) and Coal Bank Pass (10,640 feet). The Colorado Peace Ride is a four-day, 238-mile charity ride that begins and ends in Durango and encompasses a portion of the San Juan Skyway that passes through Ouray. Ouray is the first overnight stop on the tour. Riders will travel from Durango through Animas Valley, over Coal Bank and Molas Passes, into Silverton and over the Million Dollar Highway into Ouray. The Sophia Peace Center is the primary beneficiary of the profits generated by the ride. The organization supports non-profits by providing them with free or low-cost retreats in a beautiful retreat center in Dolores. To learn more about the race, for information on registration, or to donate to the cause log on towww.thepeaceride.com. Peaks and Pints is a five-night tour that starts on Aug. 30, covers a little more than 200 miles, and is punctuated with tastings a local brew house each night. The tour begins in nearby Ridgway and continues in a counter clockwise direction around the famous San Juan Skyway. The route includes four mountain passes that climb more than 10,000 feet. Riders will come into Ouray on Sept. 2 from Durango along a 72 mile route that crosses three major mountain passes and traverses the Million Dollar Highway renowned for its stunning views. The pedal power riders must display to conquer the course will be rewarded with a frosty pint at Ourayle House brewery. 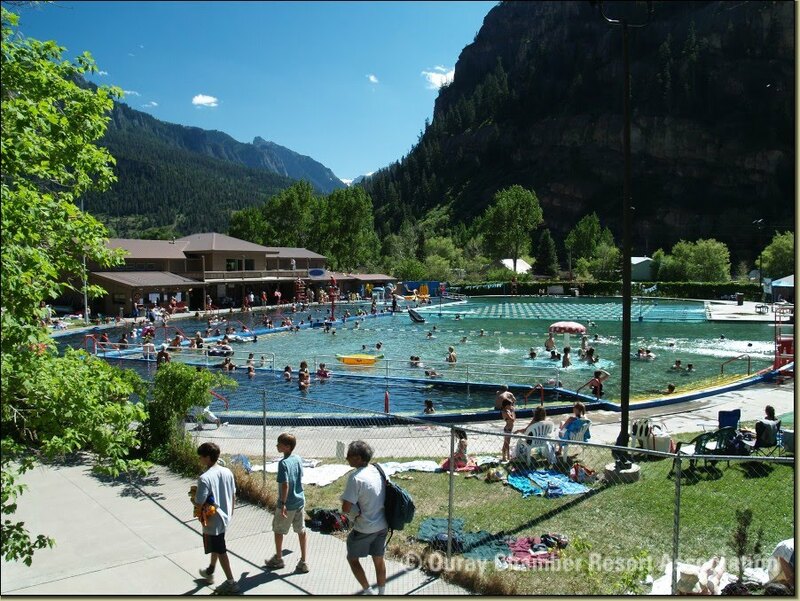 That night, cyclists will be able to soak their weary muscles at the Ouray Hot Springs Pool (http://www.ouraycolorado.com/Hot+Springs+Pool), sure to be a welcome relief after days in the saddle! To learn more about Peaks and Pints or to register for the event log on to www.peaksandpints.com. But, you don’t have to be an event participant to enjoy Ouray County on two wheels. Offering something for cyclists of all levels, Ouray County is home to a number of back roads and off-road trails. Recreate the routes covered by one of the events mentioned above, or hop on a mountain bike to explore the many off-road trails (http://ridgwaytrails.com/trails/). Rent a ride at Peak to Peak Bicycles (www.peaktopeakbicycles.com), located in neighboring Ridgway, or bring your own. In Ridgway itself you can take the single track that runs right along the edge of town north across Highway 550 to County Road 10. Dallas Trail, at an elevation of about 9,000 feet, is a popular, yet difficult more riding trail. Another challenging route is the eight-mile-long Portland Trail, which is a shorter, yet intense, single track. Imogene Pass/Last Dollar Loop is extremely difficult, long and steep and can take up to 10 hours to complete. If you are enjoying a family trip with children or simply want to take it easy plan a leisurely ride along the river just north of Ouray. The River Road goes all the way into Ridgway and back (approximately 25 miles) and is a scenic route over rolling ranchland. To make a lodging reservation and learn more about planning your trip to Ouray log on to www.ouraycolorado.com. 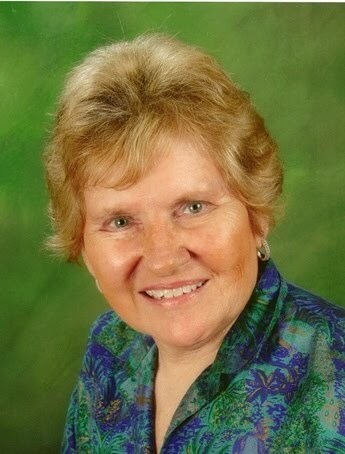 Your web site is very helpful,I wish to communicate with u,could i sent e-mail to you? I’m glad you find the website helpful. I’ll send you my e-mail privately so you can communicate with me. Happy you liked it. I have enjoyed visiting Ouray many times. I never imagined I would need to understand this, but thank goodness for the web, right? Yes, it’s amazing how the web can assist. Thanks for commenting Jeanne. You absolutely outdid yourself this time. Color me impressed. I felt compelled to post this comment about Denver. That’s fine. Thanks for reading. I don’t post often but just wanted to say I’ve enjoyed reading your Blog. Man, talk about a good post! I’ve stumbled across your blog a few times in the past, but I always forgot to bookmark it. But not again! Thanks for writing the way you do, I really appreciate seeing someone who really has an opinion and is not just regurgitating crap like most other bloggers these days. Keep it up! I admire what you might have completed listed here. I like the component wherever you say that you are accomplishing this to give again but I would assume by every one of the comments that this really is working for you personally as well. Thanks for commenting. I’m glad you are enjoying reading our blog. It is quite diverse. Thanks again Cityville for commenting on another of our posts. We work at what we put up. On occasion, it does include a press release, if it is one we highly support. Otherwise, most of it is written based on our experiences. Basically wished to emphasize Now i am thankful that i happened onto your internet page!